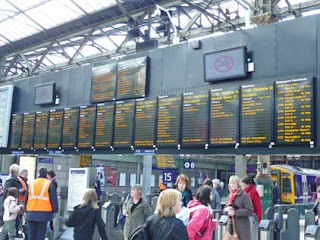 It was our most popular post from last year and we have pleasure in bringing you the very latest data for the UK's rail stations and how busy they were for the financial year ending 31 March 2008. 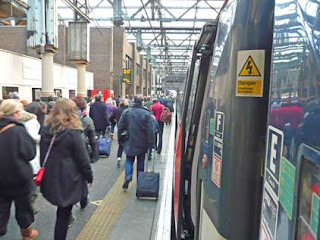 The Office of Rail Regulation has released the latest data for all of mainland Britain's rail stations on the National Rail network. The data can be viewed by clicking here. There are two files to consider: an Excel file that details all the stations and the "0708 Entries & Exits" column (Q) is what we're interested in and also a pdf file that reports on how the data was compiled. While all the top-ten busiest stations saw growth from the financial year ending 31 March 2007, only two of the top-ten least busy stations saw growth, being Coombe Halt and Buckenahm. You have to go to 2,504th position to find the least busy station in the LEYTR area - Kirton Lindsey; hitherto the quietest station had been Gainsborough Central for the past two consecutive years. Hull remains the busiest station in the LEYTR area. 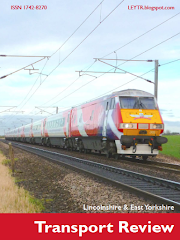 A full round-up of all LEYTR-area stations will be published in the May/June edition. Last year's data had obvious errors and rail commentators were convinced that many of the least busy stations were simply not that quiet. The way in which data has been collected for the latest figures has been amended to reduce many of the "up to 99% wrong" results from last year. The two quietest stations (Crosskeys & Llanhilleth) are both new stations on the Ebbw Vale line and so their data is likely to be very different next year! ** - the following stations have the possibiliy of being used for interchange between trains but no passengers purchased tickets necessitating this: Altringham, Bootle New Stand, Gainsborough Central, Rugeley Town, Runcorn East, Thetford & Yarm. Only 523 of the 2,518 stations were used to interchange between trains. 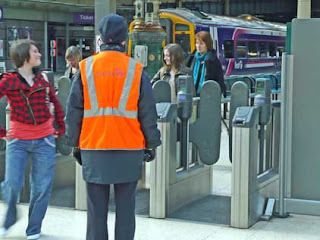 Barrier checks at Edinburgh Waverley - mainland Britain's 16th busiest station.